How Not to Miss Your Ship and Get Your Cruise Off to a Great Start! In this travel article we address a common question: how not to Miss Your Ship and Get Your Cruise off to a Great Start! Arriving late and missing your ship can and does happen, and it potentially ruins your vacation because trying to catch up with your ship at the next port of call is never easy. Usually this misfortune happens when you book your arrival flight on the same day as your ship’s departure. It takes approximately one hour (pending traffic conditions) from Fiumicino Airport to the Port of Civitavecchia, but even if you have a few hours in between and think you have plenty of time, in all reality any slight flight delay can result in missing your ship. Even if your flight arrives on time, other things can go wrong. If your luggage is delayed and due to arrive on a different flight after your ship’s departure, it probably won’t find you during your cruise. And if your luggage gets lost not only you may not have enough time to file the appropriate paperwork for missing luggage, but you won’t have time for any last minute shopping for important items, leaving you having to rely on what’s aboard the ship and make do without your personal belongings. Ok, so your flight and luggage arrived on time. Great!!! Still, you’ll be arriving in Rome jetlagged and exhausted after a long transcontinental flight. Instead of celebrating your first evening on your cruise, you’ll be spending it in your cabin recuperating from your journey and missing out on enjoyable activities. With Rome being a top travel destination in Europe with so many incredible things to offer, why not spend a couple of days pre-cruise in the Eternal City to rest, taken in the sights, have lunch at an outdoor cafe, and get get your vacation off to a relaxed and fantastic start. And if you and your luggage arrive in Rome late, you have nothing to lose. 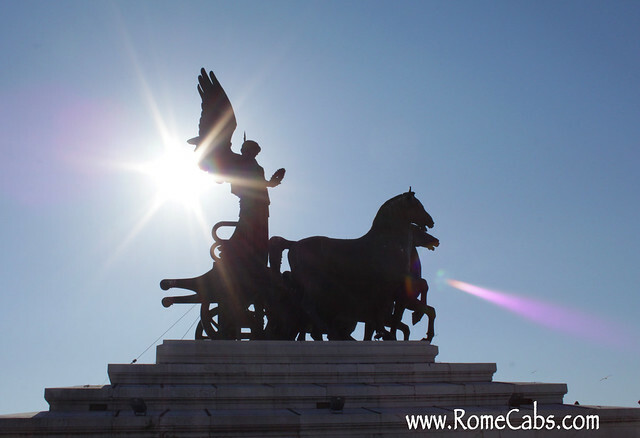 Our advise is: Arrive in Rome at least one day before your cruise departs. * It relieves the stress of flight and luggage delays. * Eliminates the risk of missing your ship. * You have the opportunity to enjoy Rome. * You will begin your cruise relaxed and refreshed. For Airport and Port Transfers, Day Trips from Rome, and Shore Excursions from Civitavecchia, Naples and Livorno, please visit us at www.RomeCabs.com. We’d like to invite you to also visit our sister company, Stefano Rome Tours, for more exciting Tours and Shore Excursions in and around Rome: www.StefanoRomeTours.com. We are more than happy to assist you with your tour and transfer needs and help make your visit to Italy the vacation of a lifetime! Thank you for stopping by and reading our blog. We look forward to hearing from you and seeing you soon in Italy! !